An article titled Lessons of Abundance: Be a River Not a Dam. It is a terrific analogy about opening the flow of money into your life. Yesterday I stood in front of a magnificent waterfall and marvelled how the water was flowing so effortlessly regardless of the many obstructions it needed to move by. Like a waterfall, or river, you have to remove the obstacles that are preventing the smooth flow of abundance into your life. Financial fears and a feeling you don’t deserve greatness are two big ones that hold people back and dam up the energy. Identifying the problem is usually the first step to knocking it down. So take a deep look at the layers in your dam that are keeping money out of your life. 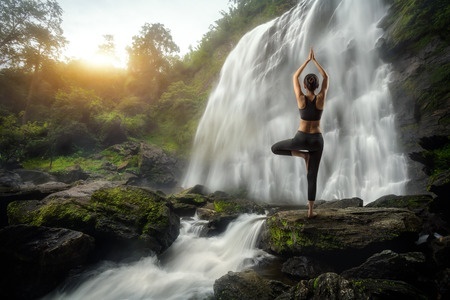 If you consciously direct your energy to open the spigot of abundance then, like the waterfall, it will find a way to you (even if it has to amble over a couple of huge boulders on its’ way). I know it has for me. Having come from humble beginnings, I never had much money as a child. As an adult I kept a healthy attitude towards money and always kept myself open to the possibility that it would appear when necessary- and it has. Whether it was needed for going to graduate school, taking a trip around the world or starting my companies, I always had the cash when my goal was important. If your old money habits are preventing you from having the wealth you desire, it is time for some new habits. You need a new habit to break an old one so here is one great idea. Instead of focusing on the lack of money, focus on prosperity. Just imagine the largest waterfall you have ever seen and picture each droplet of water flowing by you is a dollar flowing into your pocket. Imagine yourself absorbing the mist and spray into your pours where it will change your brain chemistry and wipe out all your money fears – like a car wash clearing away the dirt and old scripts you keep in your head. After practice you may emerge with the brand new thought patterns needed to draw success your way. Learn more about opening the flow of money into your life by picking up a copy of this great book!